The Kenyan school year is more in line with the calendar year with children starting in a new grade or school in January. We’re all aware of the transitions we see here in Canada when a child leaves elementary school behind and starts high school. This transition is even more significant for young people in Kenya. Throughout their grade eight year they studied for the entrance exams which took place in November and December. These marks determined if they can go to high school and the ‘level’ they can attend. Higher marks open up possibilities for better schools. As well, these schools are most often residential schools. The young person goes away to live – often very far away from home and family. This is also a very busy time for Kay and Ruth. Not only must they prepare the children (clothing, school supplies, school books, ‘kits’, basic supplies) but then bring the young person to their school. 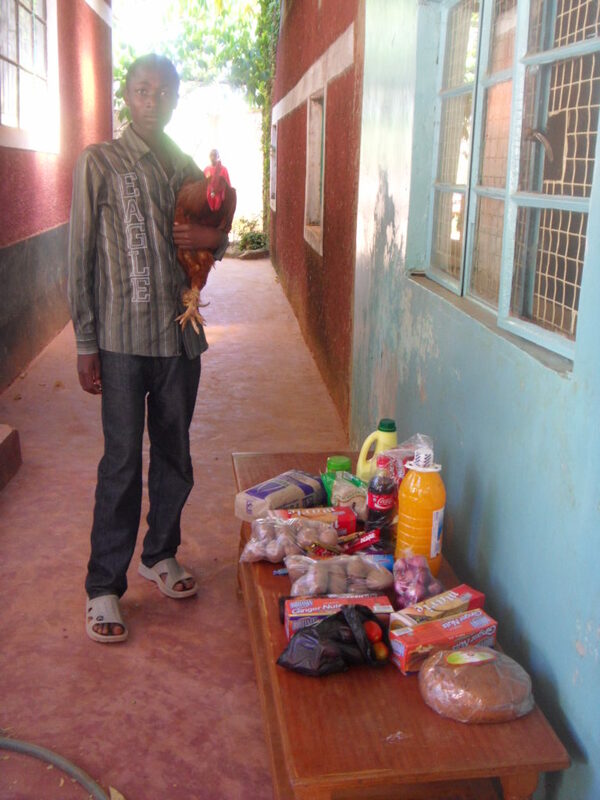 Last year one of our students was admitted to a school that was basically on the far side of Kenya! 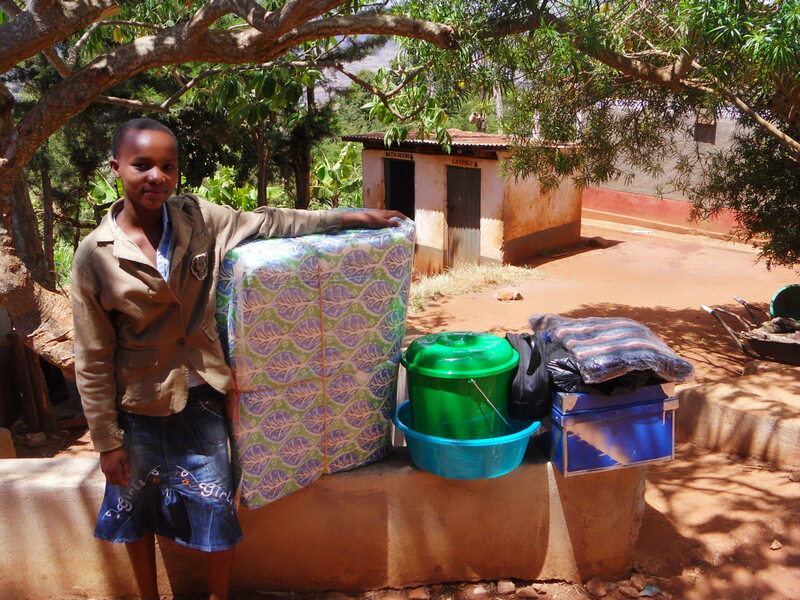 Anastasia with some of her supplies, proudly and happily, heading off to school. The Probus Club of Brampton made a contribution that provided for her school year. This year we are proud to announce that we have 19 children in high school! 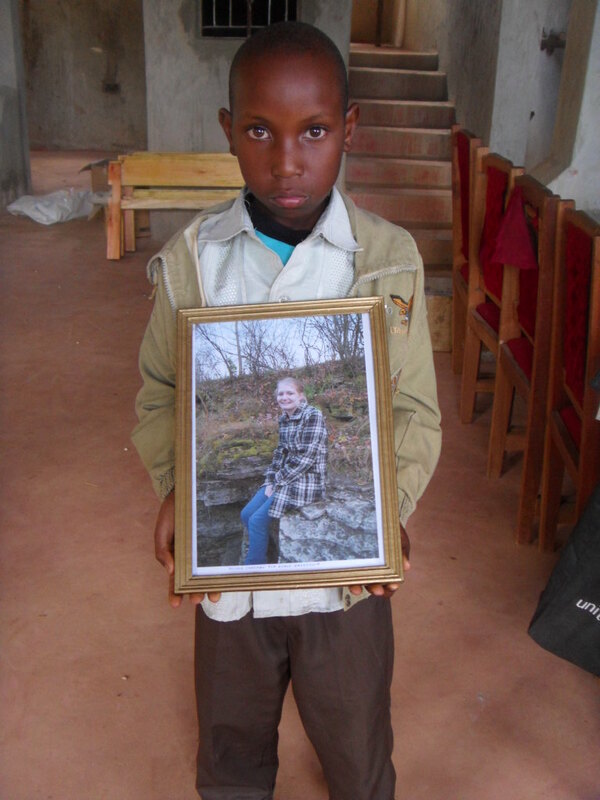 Six are not sponsored but are supported through the fund raising of The Creation of Hope. They are either related to a sponsored child or were simply identified by the community or schools as having great potential but no financial ability. 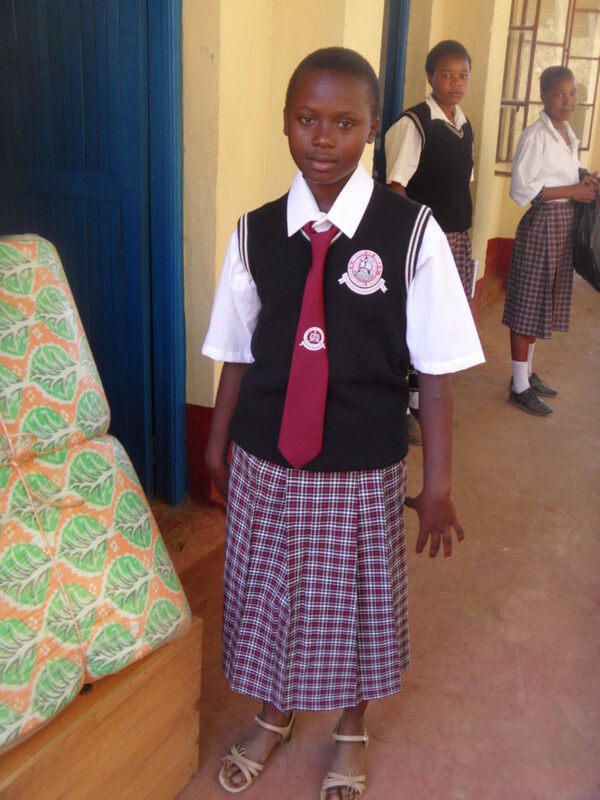 Of these children the first, Faith Nthenge Muthini, is now in her last year of high school. While we have had one young lady graduate from trade school, Faith will be our first high school graduate in December. Many of our sponsors provide funds for something extra for their child at Christmas. Others send over letters or parcels. Mail from Canada to Kenya is, well, somewhat adventurous, and often takes a long time. Many of these gifts were mailed in October and November just arrived and were presented to the children. Muthina receiving a parcel from Barb Munich – Barb is one of a group of sponsors who will be joining us in Kenya this summer. One of my personal highlights will be introducing sponsors to their children! Fatema – one of our youngest supporters – has made another $50.00 donation this month. Please thank Fatema again from all of us. Steve, who lives in Canada, but is originally Nigerian visited the program. 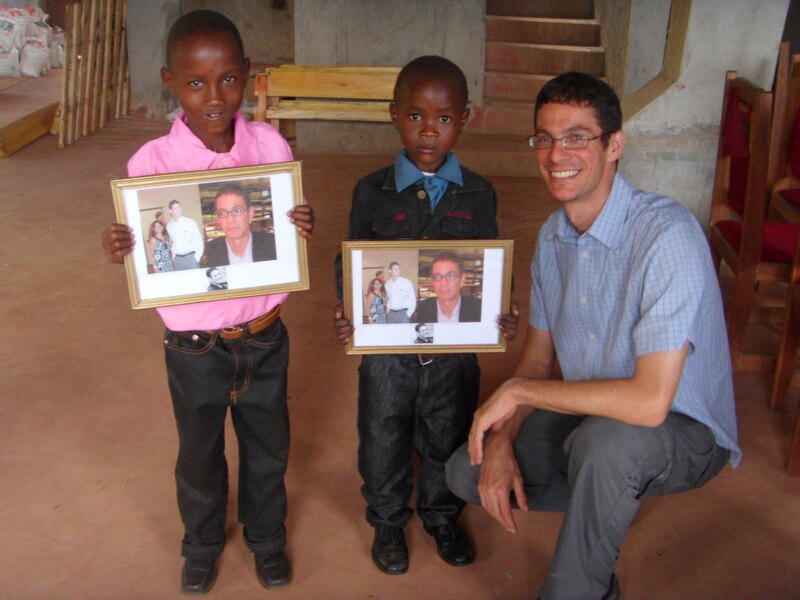 He left not only a positive impression on the children but a gift for them all. 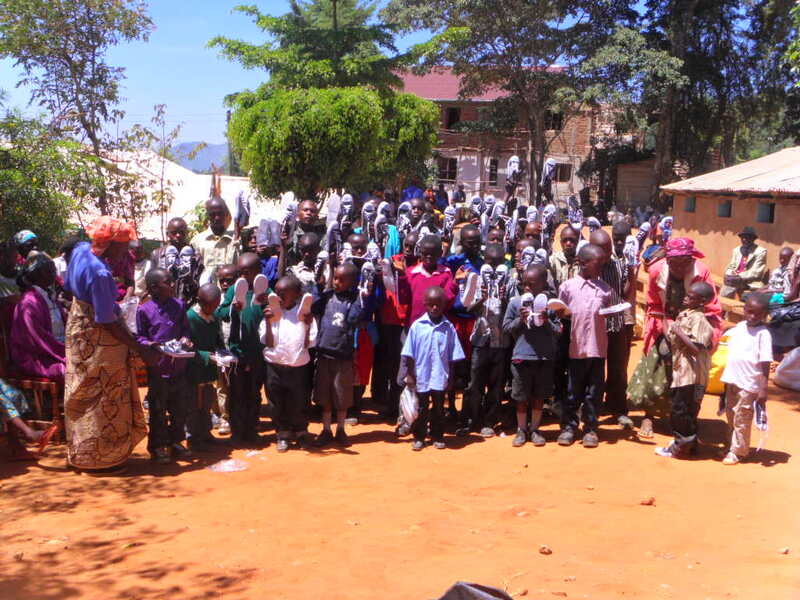 53 children with 53 new pairs of shoes! Thanks Steve! 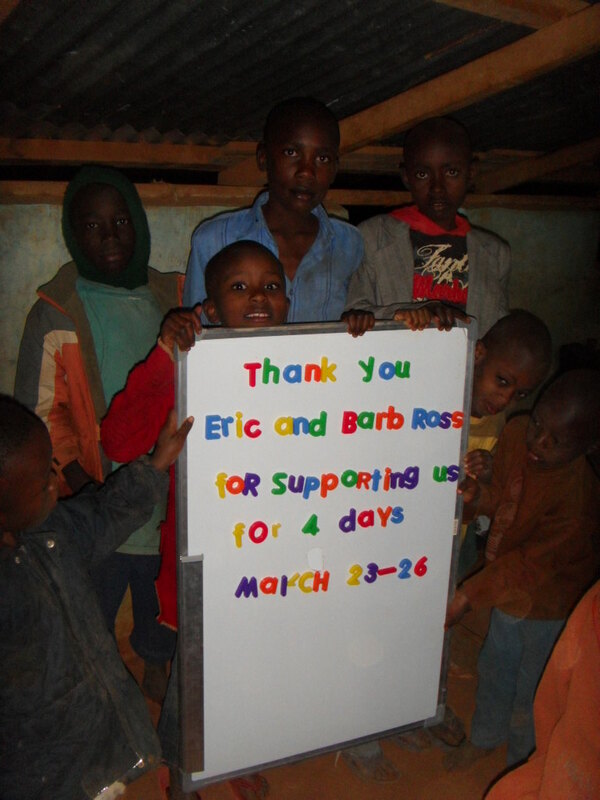 Eric and Barb and their Sunday school group at Emmanuel Baptist Church in Nova Scotia raised money to support all of Rolling Hills Residence for 4 days. Here is our partial contribution for $2107.80 for your village. Please use a portion of this towards the purchase of goats for the families. If you recall that was Samantha Crawford’s goal. 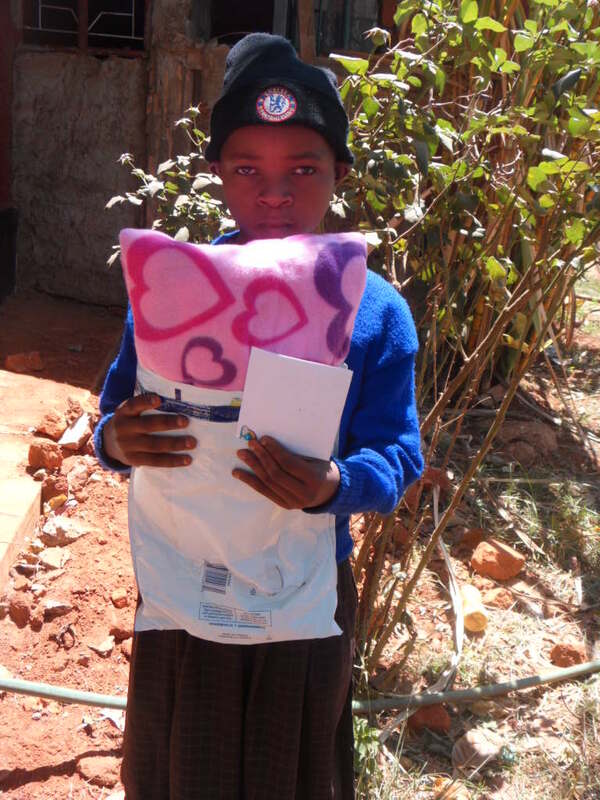 The rest please use to take care of our foster child Mbithi Mutheu and the greatest needs of your community. Emily Ross is a sponsor, a talented musician and a member of the Vanier Social Justice Club at Vanier Catholic Secondary School in Whitehorse Yukon. They raised and donated $500.00 for the program. 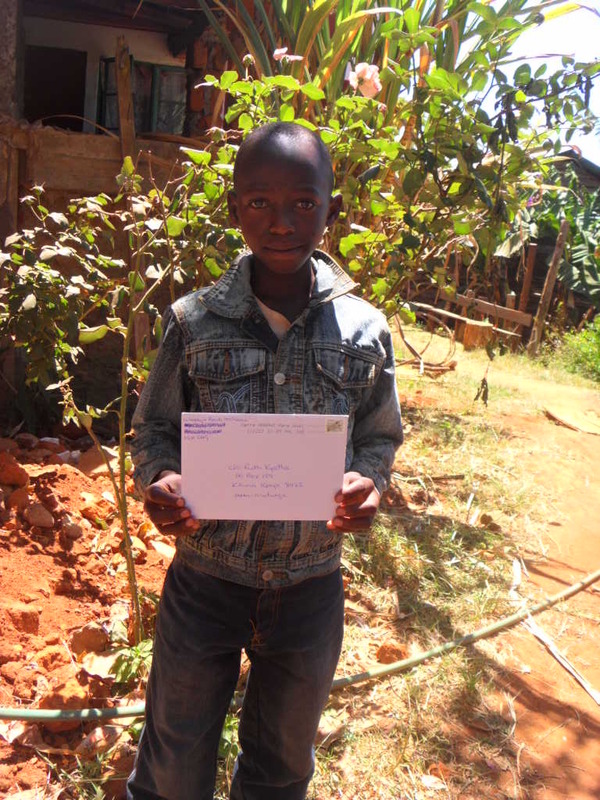 Contanza Leon has now sponsored Ezekiel Mwongela. Here’s a shot from last month’s sponsorship. 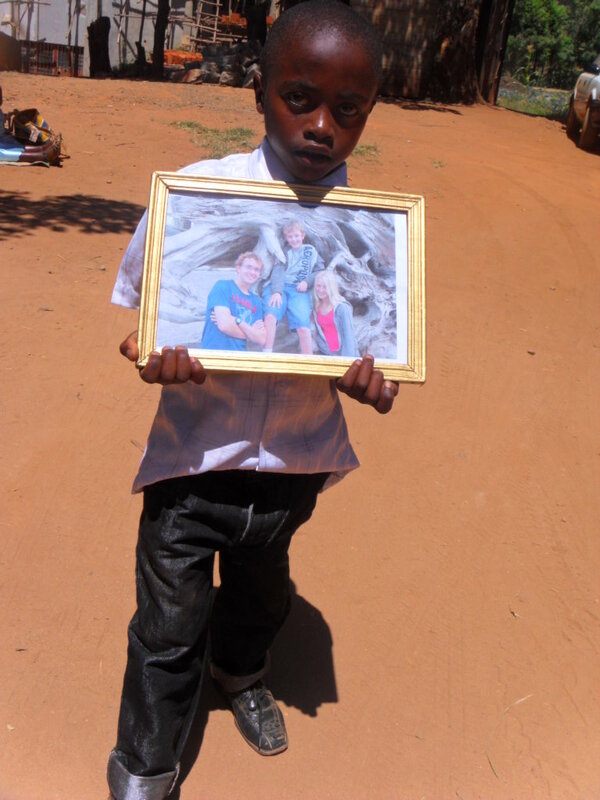 These pictures mean a lot to the children – to see the real person who has changed their life. With these sponsors added we are on the verge of closing off our sponsorship program to new children. This is a combination of factors – the neediest have been sponsored – and the simple limitations of our program. The Canadian component of our program is literally run off our dining room table by my wife, Anita, and I, while in Kenya it is Ruth and Kay. We are cautious to not grow so big that we’ll lose the ability to be personal and responsive. We also do not want to dilute the effectiveness of our service by stretching our limited man power and resources. 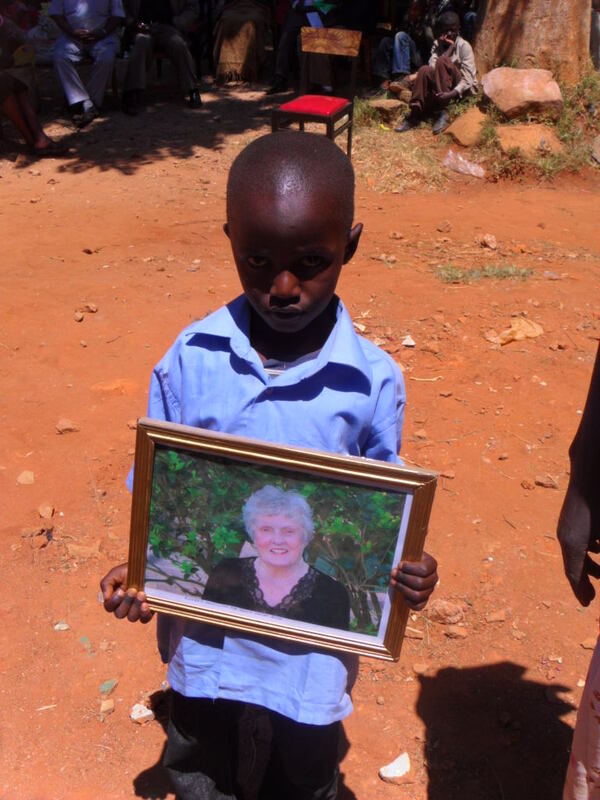 The remaining children to be sponsored are on our webpage. Over time as new children are in need of sponsorship – or the emergence of children needing to be re-sponsored – we will have other opportunities. We still need and welcome support for specific projects, for ongoing needs such as school uniforms and for supporting the entire Rolling Hills Residence ($50.00 per day). 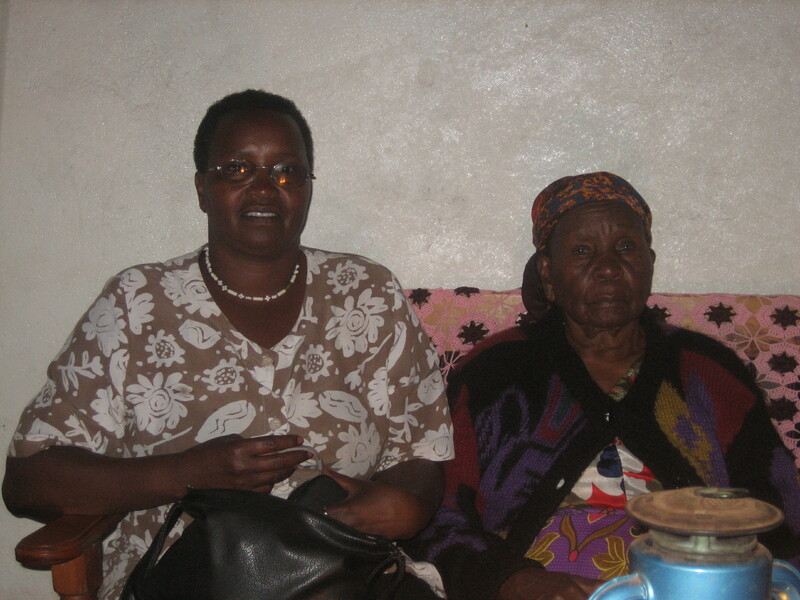 We wish to extend our sincere condolences to our Program Director in Kikima, Ruth Kyatha and her entire family, on the death of Ruth’s mother Serah Mbuve Kiundi on January 23 2012 who lived into her 95th year. The Walters family had the opportunity to meet and visit with Serah in 2008. She was a very strong woman of faith who believed in education for her daughters as well as her sons when she was a poor widow caring for 9 children decades ago. Such a commitment to education of females at that time was very unusual. Her character and strength is reflected as her legacy is carried on through her large and accomplished extended family including our incredible staff – Ruth Kyatha and Kay Mutinda.